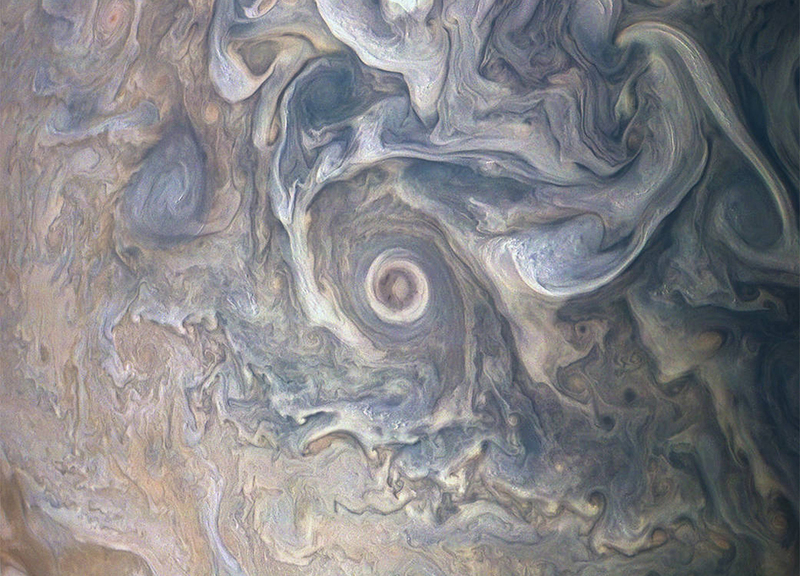 Intricate swirls in Jupiter's volatile northern hemisphere are captured in this color-enhanced image from NASA's Juno spacecraft. 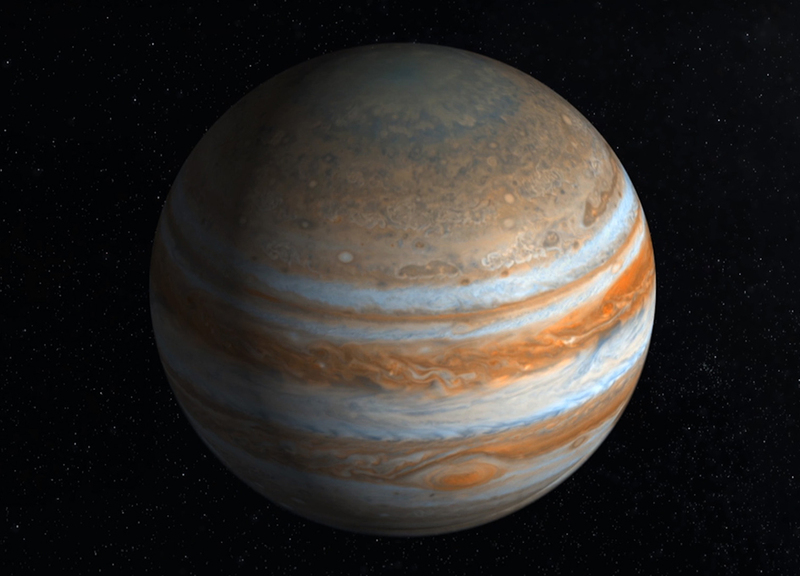 For centuries, scientists have worked to understand the makeup of Jupiter. 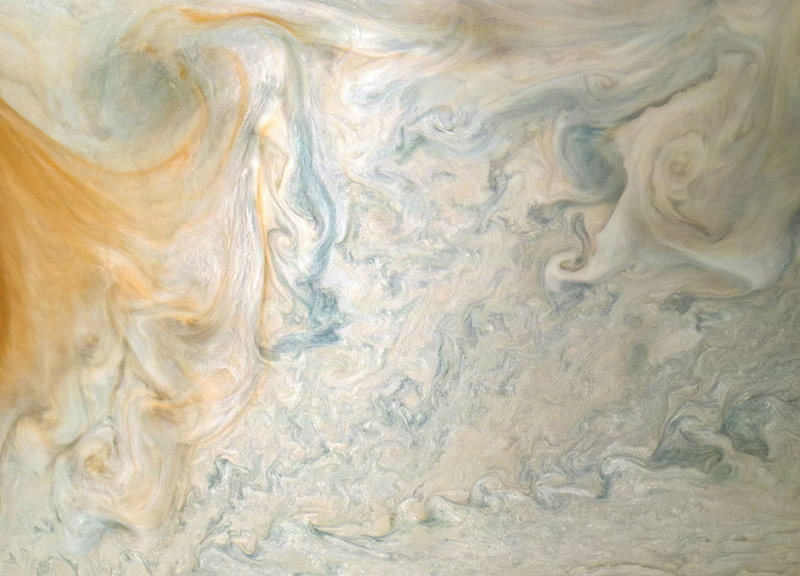 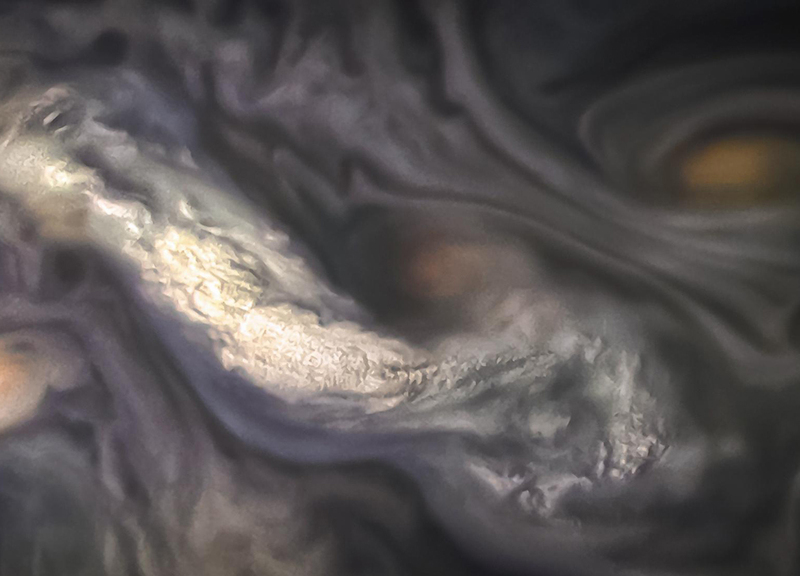 The easternmost edge of Jupiter's Great Red Spot and surrounding south tropical disturbance are captured in this image from NASA's Juno spacecraft.